I belonged to a great mailing list called "GreenKeys". 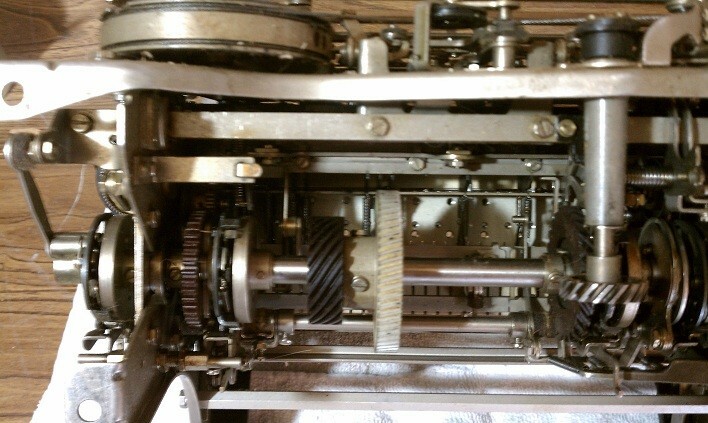 It is populated by a large group of Hams and "lovers" of the old Teletype equipment. A great bunch of people that have an extensive knowledge about how the machines work and what they are designed to do. 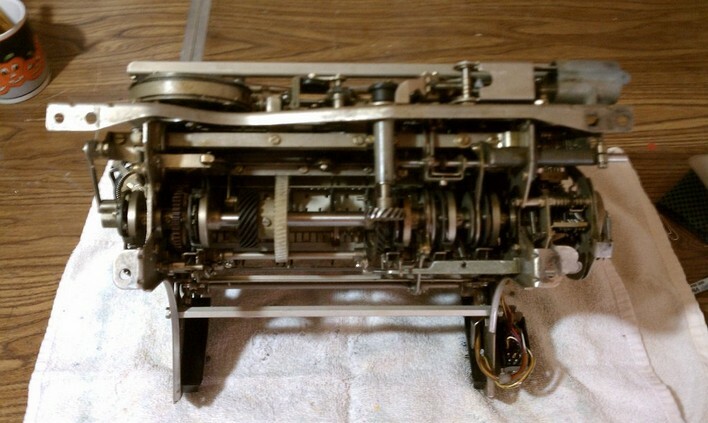 I was a Radioman in Navy for 23 years and most of that time I was a Teletype/Crypto Repairman. I loved these machines. 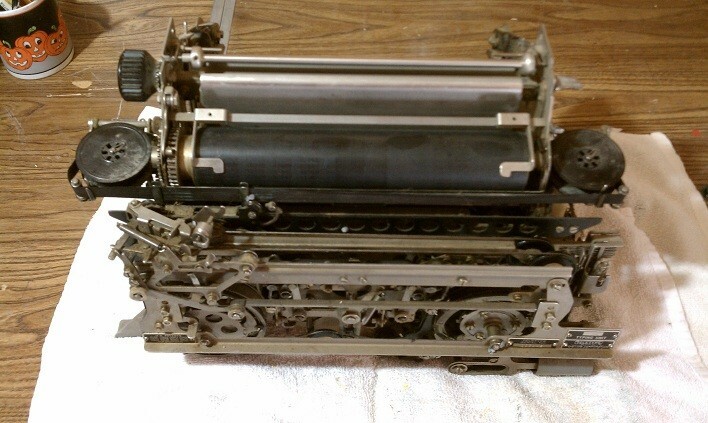 It took many years after my retirement to finally get a couple of these teletypes. Thanks to the fine members of this list, I was able to aquire some equipment. 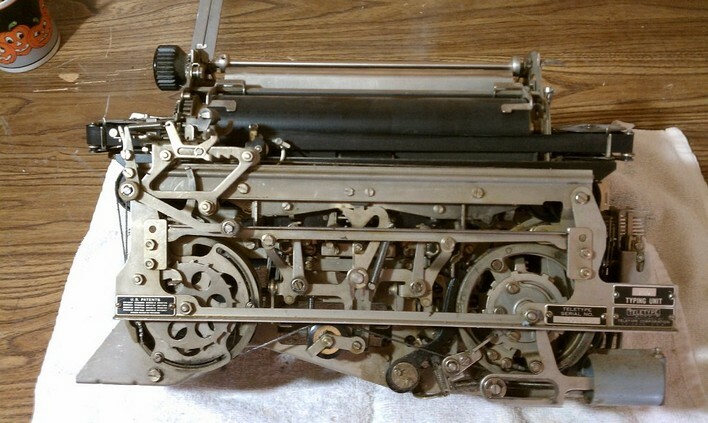 I am now the proud owner of model 28 ASR and a model 28 KSR. I use the ASR to copy RTTY news from my computer. The sound of it typing is very soothing and enjoyable. A little dirty with dried on grease and very dry felts. Easy to clean up. 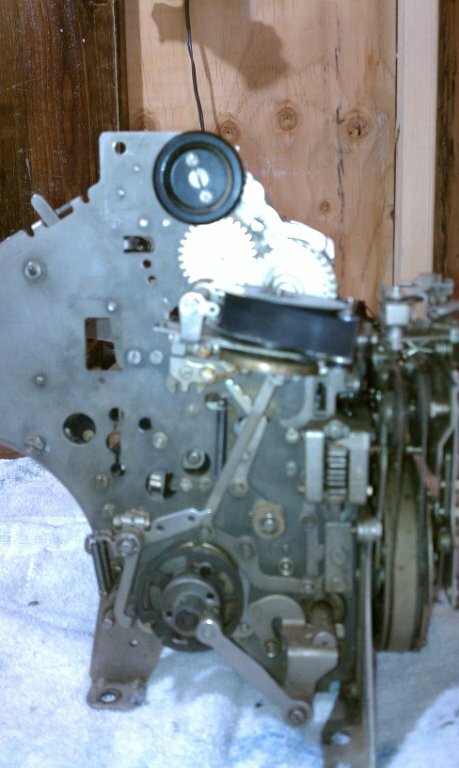 Removed the front plate, main shaft, selector unit and stunt box. Washed everything with carb cleaner and blew it dry. 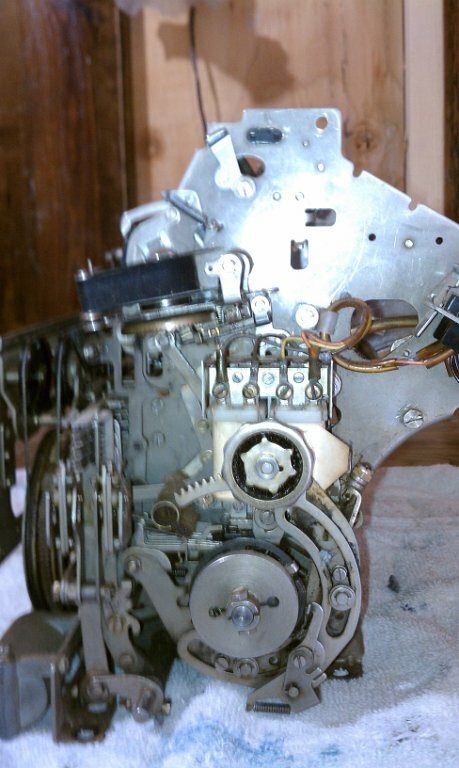 I was suprised that I still remembered how to take it apart and put it back together after all these years. Guess it's like riding a bike. 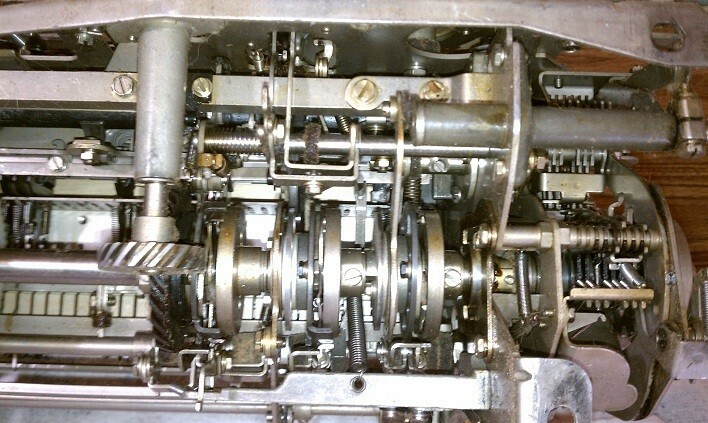 I removed all clutches and gears from the main shaft and cleaned all the gunk out of the clutches. There was no damage on the main shaft caused by missing/loose screws. 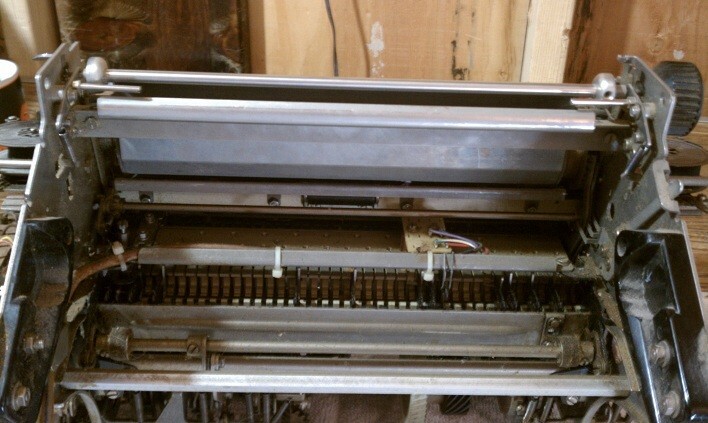 Other than a few missing springs, felts and a couple of screws on the printer, the unit was in great shape.